As soon as my inbox showed that I had an email from Nyk and Cali Photography, I became so excited at the photos that I knew would be inside! And as expected, they didn't disappoint! Kenny and Melissa were married at Mint Springs Farm this summer. Brad was their master of dance and has shared his recap of the night! July 18th 2015 was a fun day for sure. Melissa and Kenny were an absolute blast to work with. It's not everyday that I get to meet someone who has a sense of humor about their wedding day. Many times I find the emotions range from jubilant to completely stressed. Melissa and Kenny from the first moment I met them expressed the importance of being able to have a good time and to be able to laugh about things. Kenny was also a complete joy because he didn't take a back seat to anything. He was absolutely excited about the day and was ready to enjoy the music and party side of things. One of the aspects I enjoyed the most about their music selections were the dedications they gave to their parents. Melissa used "Here Comes The Sun" as her Bridal March because it was the song her Mom had walked down the aisle to. They also chose "We've Only Just Begun" as their first dance song because that was Kenny's parents first dance song. The whole night went on like this. We were able to construct a playlist that worked on the dance floor but had tons of moments built in for family and guests. One high light was the song "Big Shot" by Billy Joel which was a song that Melissa and her Dad, David, shared with each other over the years. 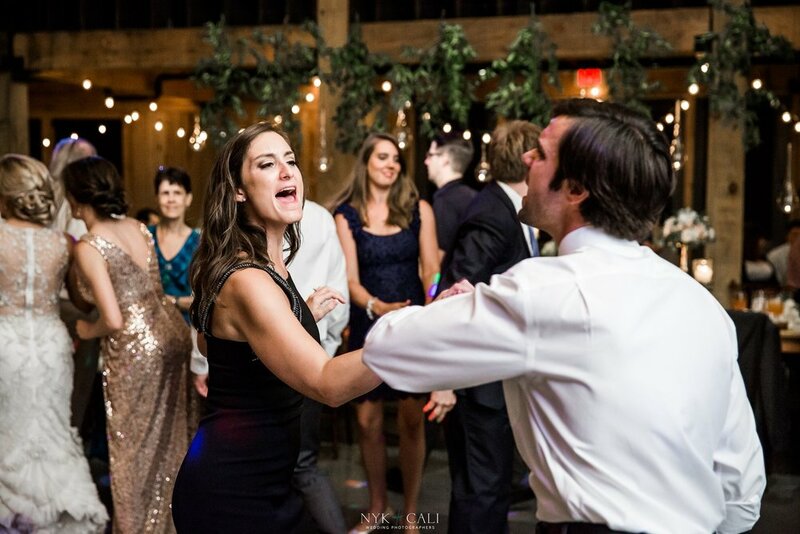 While not an obvious "dance floor" choice, it absolutely killed it! That truly is the trick with weddings. You don't have to always choose the best dance songs...just the best dance moments. We even threw it back to the 80's a little bit with "Jump" by Van Halen, "Jessie's Girl", "Take Me Home Tonight" and a ton of other great sing along hits. It was such an honor to work with Melissa and Kenny. They were, at the heart of it all, great people to know and be around. I mentioned their sense of humor earlier and feel I should elaborate a little. Couples are always trying to get their "married name" into a hashtag in a creative way and Kenny's last name is Dix. So Melissa and Kenny had me announce their hashtag for the evening as #sayyestodix! That got a great laugh from everyone...and the tone for the evening was SET! It's always a pleasure getting to share these wonderful moments. 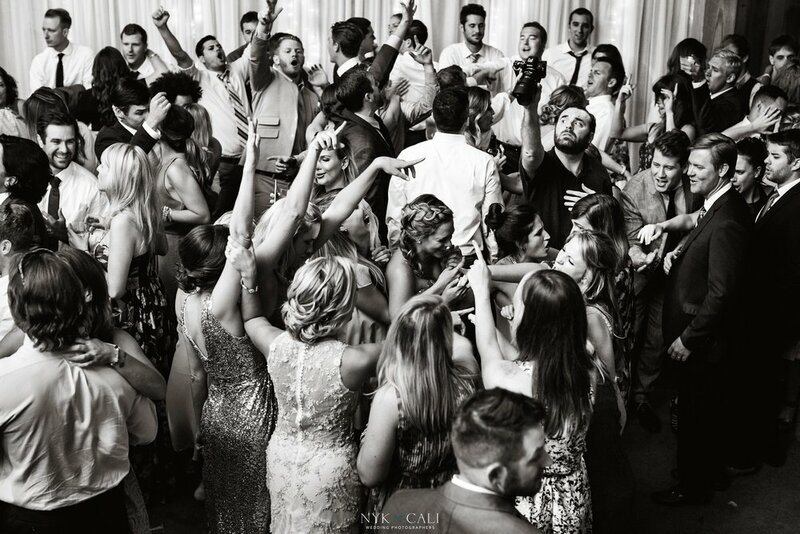 Please check out these amazing photos of Melissa and Kenny taken by Nyk and Cali Wedding Photography. They took stunning pictures of this incredible day.